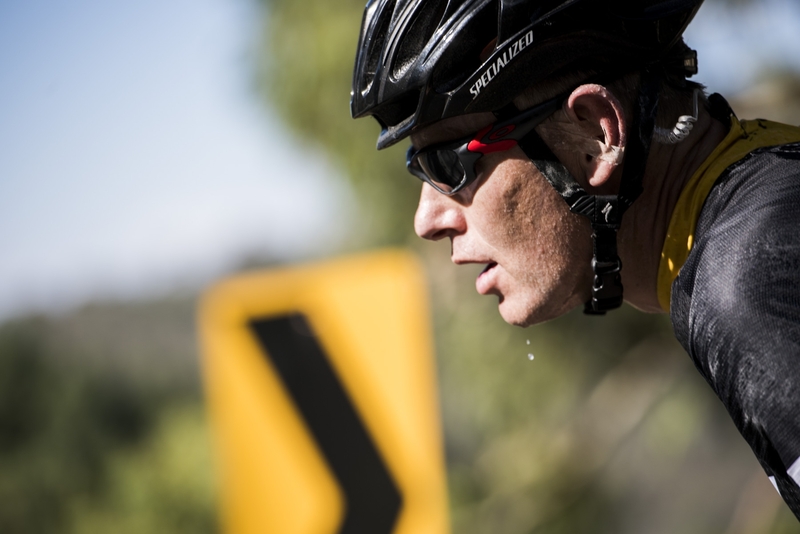 Yesterday’s prologue had done its trick - riders emerged fresh and energised this morning. 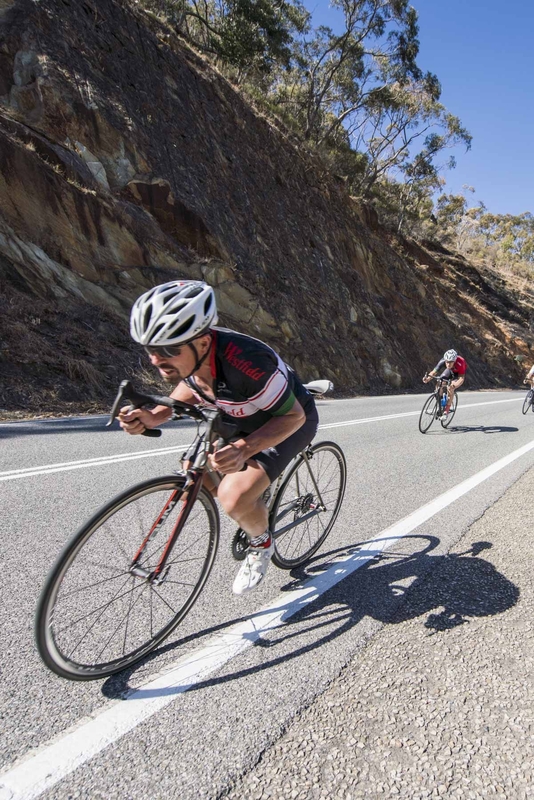 There was lots of excited chatter over breakfast about today’s route which incorporated a veritable smorgasbord of roads used for the Tour Down Under (TDU). 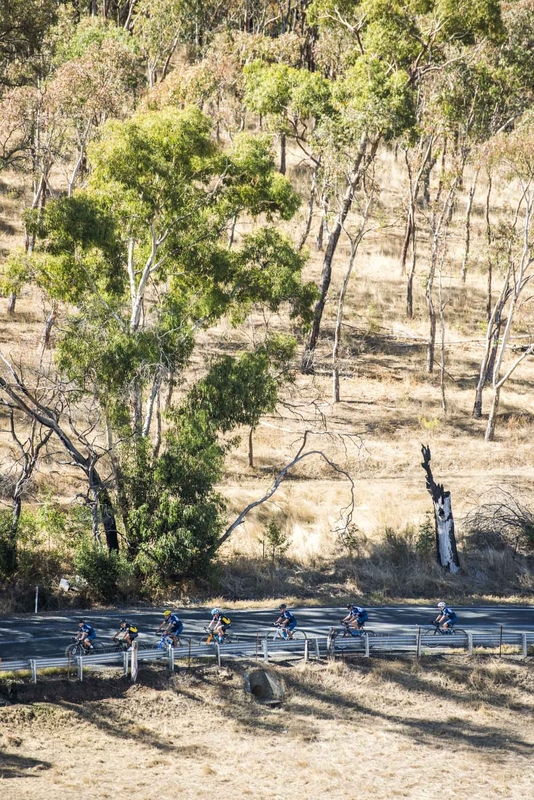 For those less familiar with cycling, the TDU is Australia’s premier cycling race and is the first UCI World Tour event. It is held each year in January here in South Australia. This was going to be our first test. On each Chain Reaction we gather as families do at the end of the day to eat dinner, perhaps enjoy a drink, tell stories that emerged throughout the day and most importantly to celebrate the success of some of our riders with the awarding of competition jerseys in a similar style to any professional road race. The difference is these jerseys do not reward the strongest and fastest riders, if they did we would call this a race not a challenge. No, instead these jerseys award those for supreme fundraising efforts, or for acts of support and team work on the road and/or behind the scenes. Yellow Jersey (proudly sponsored by KordaMentha) to Andrew Harvey. Andrew has already raised over $20,000 individually. He has also been a significant contributor to the organising committee sourcing corporate partners and riders. Chapeau Harves! We were also fortunate enough to have Berrick Wilson the Founder of Chain Reaction speak last night about what drove him to establish Chain Reaction in 2007. You could have heard a pin drop as Berrick described the trauma of sitting in an intensive care unit with his first child, Milla who was 2 days old with a bleed in the brain wondering if she would ever go home with him and his wife, Caroline. Berrick described how he prayed that day and made a commitment to make a difference to others’ lives. The good news, Berrick and his family were blessed and today he has three happy and vibrant children. Berrick has lived up to the commitment he made that day and Chain Reaction has now raised over $24m over the past 12 years. 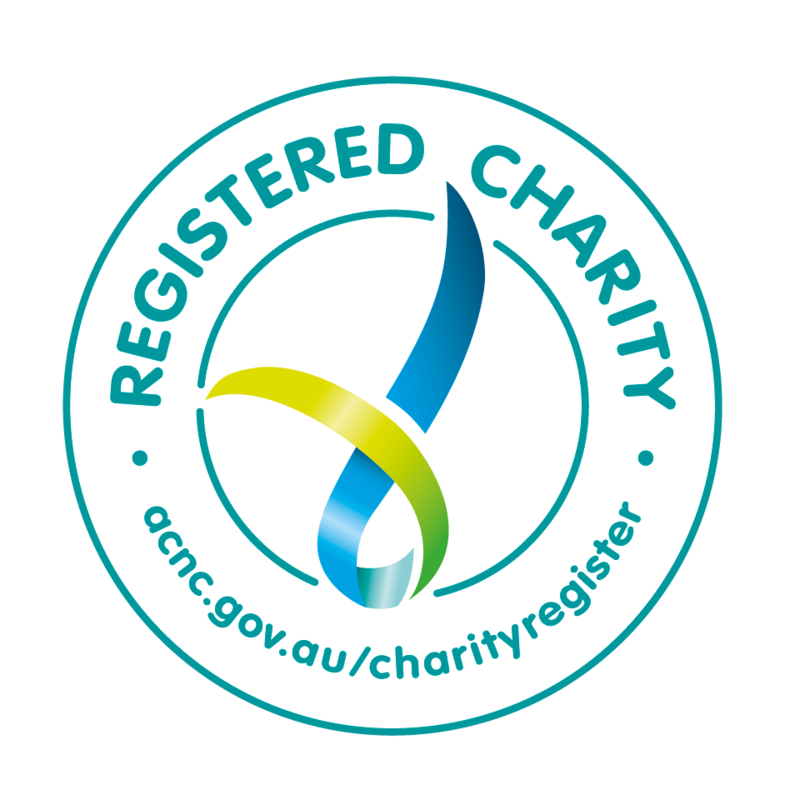 Not only has Chain Reaction been able to make a meaningful difference to many charities supporting kids, it has inspired many riders to face not only overcome their own physical and mental challenges on the road bit also to help make a difference in other people’s lives, what a reward! So, to today’s ride. We rolled out from the Pullman hotel and headed for the hills. Within minutes we were out of the CBD and picking our way through the suburbs. There was not much time to warm up as after only 10km we were climbing Belair Road, a regular climb for locals and our gateway into the hills. As the heart rates rose the signs of suburbia rapidly diminished and it wasn’t long before we on rolling roads surrounded by vineyards and orchards. After 25km of climbing we crested Mt Lofty and a spectacular view back over the city and the great Southern Ocean. We rolled onto our lunch stop in the Germanic town of Handorf. The afternoon was post card riding as we dipped and winded our way through the Aldgate Valley and the Gorge Road descent. 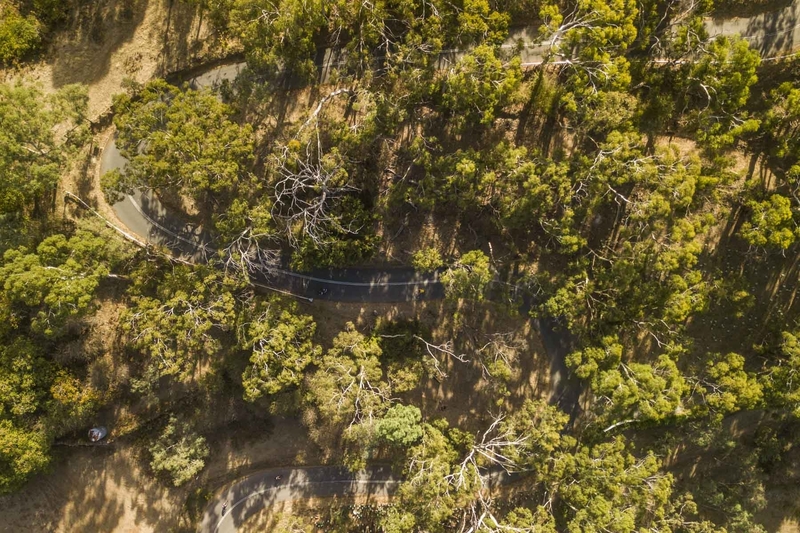 With over 100km and 1,500m of climbing in the legs there was a final test for the bunch the Corkscrew Road climb is a regular feature of the TDU whilst short it is steep and pushed some of the riders to their limits. 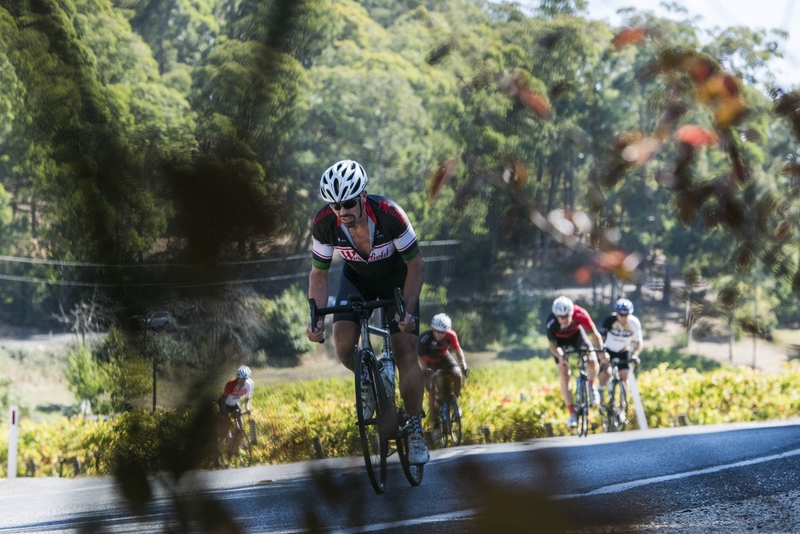 We finished with a wonderful 10km descent down Montecute Road back into the Adelaide CBD. 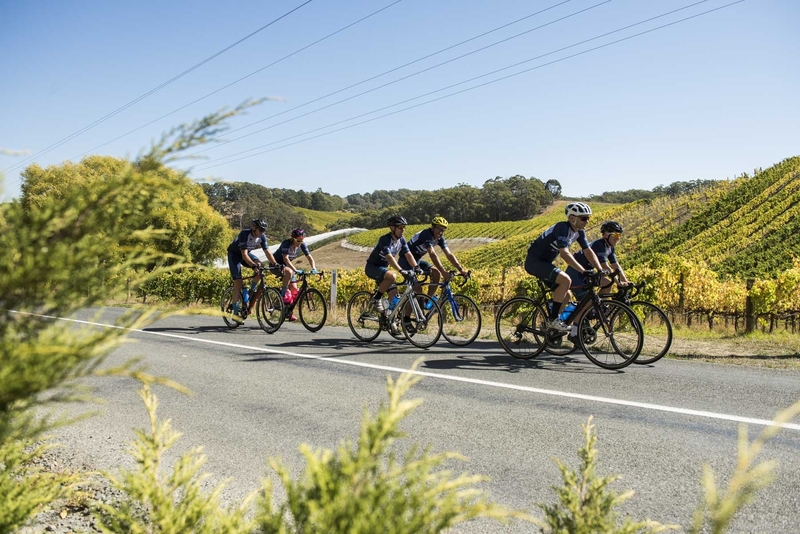 The day lived up to the mornings chatter and was an Adelaide Classic accruing over 2,000m of elevation, tomorrow we head north to the Barossa.